Don't you just love when your sweater smells of your favorite scent? 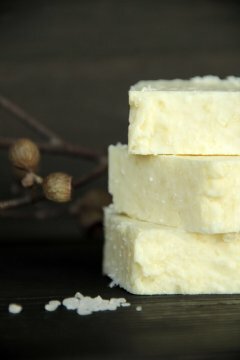 This All Natural and vegan handmade sea salt soap bar is beautifully scented with essential oils and made with very nourishing natural ingredients. 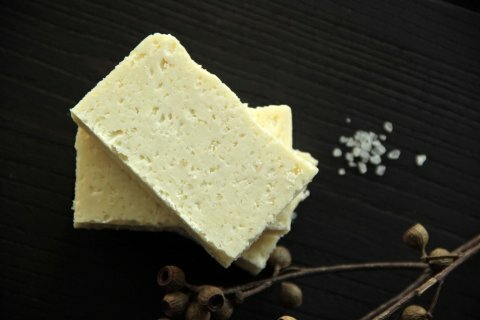 If you haven't tried a sea salt soap bar yet you are in for a treat, salt bars are so amazing. 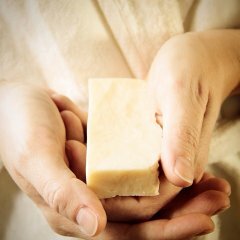 The luxurious lather of this wonderfully creamy soap gently removes dead skin cells and leaves your skin feeling soft and smooth. Olive oil, sustainable palm oil, cacao butter, coconut oil, sweet almond oil, sodium hydroxide, water, glycerin, sea salt and carefully chosen essential oils Including sweet orange.